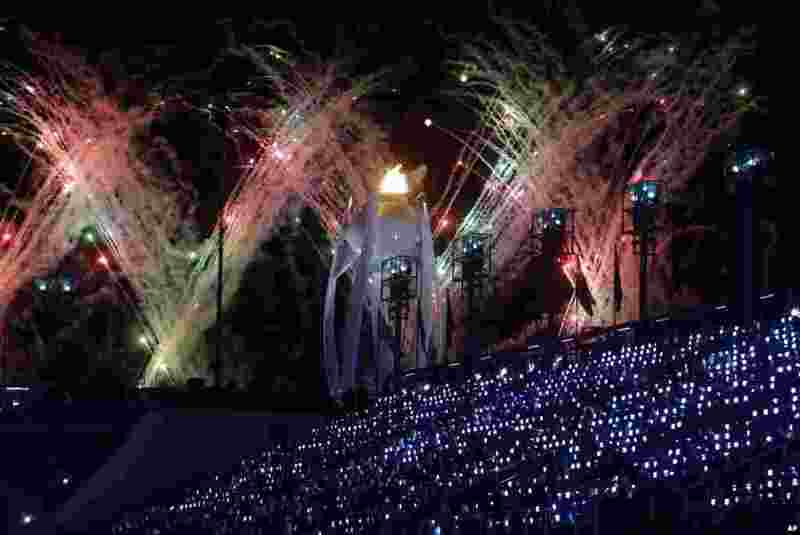 South Korea brought the curtain down on its "Peace Games" on Sunday, with winter sports athletes dancing and singing together at a vibrant closing ceremony. 1 Fireworks explode over the Olympic flame during the closing ceremony of the 2018 Winter Olympics in Pyeongchang, South Korea, Feb. 25, 2018. 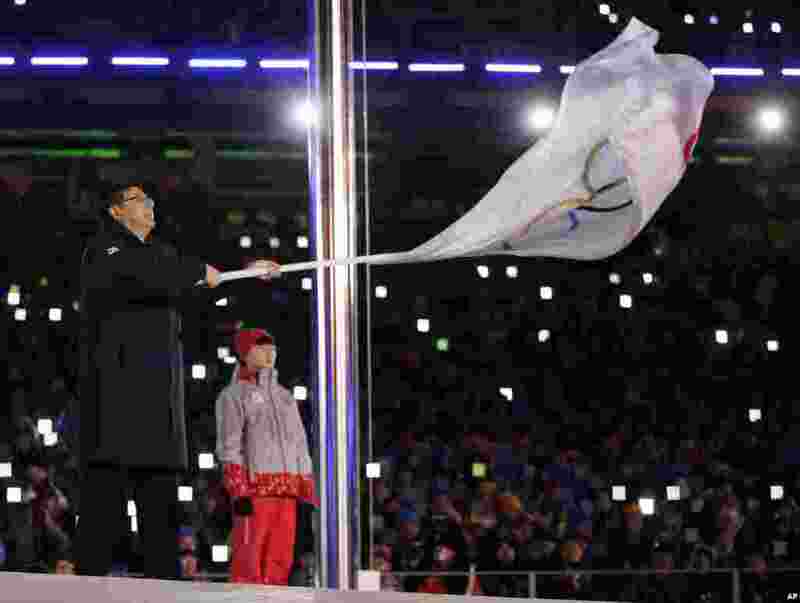 2 Chen Jining, mayor of Beijing, waves the Olympic flag during the closing ceremony of the 2018 Winter Olympics in Pyeongchang, Feb. 25, 2018. 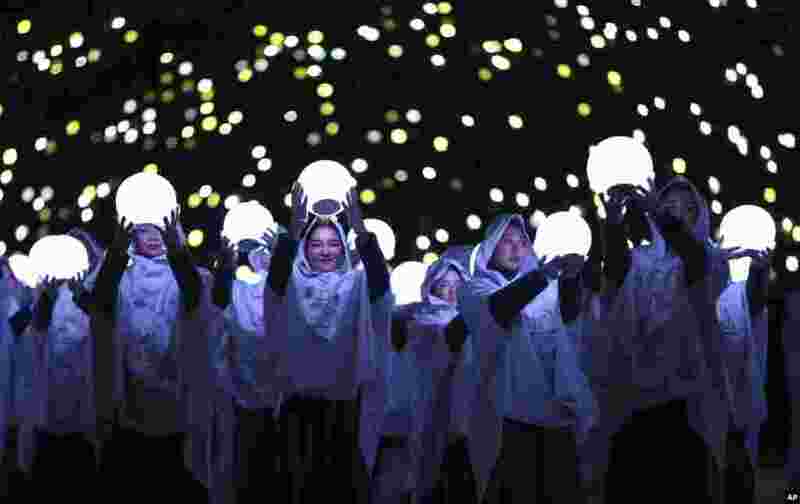 3 Performers carry lights during the closing ceremony of the 2018 Winter Olympics in Pyeongchang, Feb. 25, 2018. 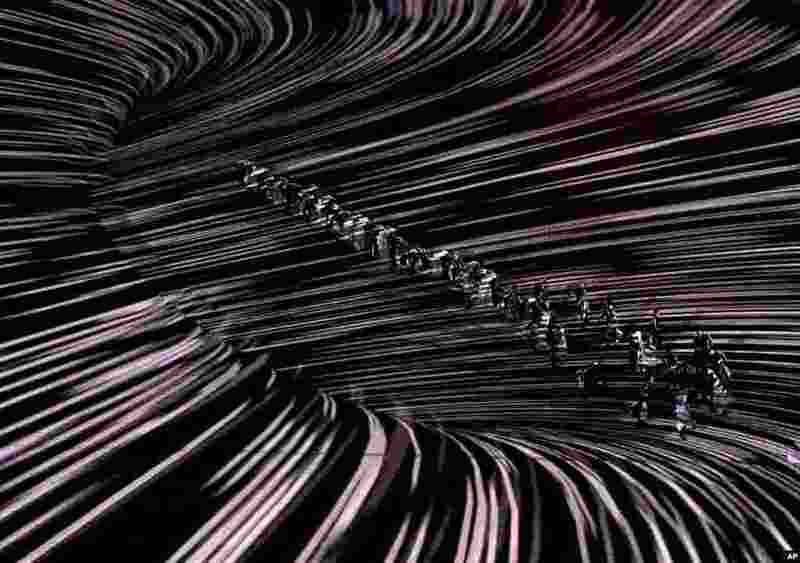 4 Performers dance during the closing ceremony of the 2018 Winter Olympics in Pyeongchang, Feb. 25, 2018.